Various medications are derived from the opium poppy or from a product that comes from the plant. Opium derivatives include a vast number of opiates and opioid analgesic medications that are either in raw form from the plant such as Codeine or Morphine or which are synthesized in a laboratory setting such as Oxycodone or Hydrocodone. It’s important to know the medications that you are taking and to ensure that you understand which medications come from opium in some manner to ensure that you don’t overdose and for your safety. 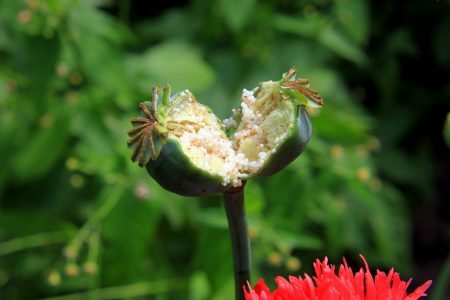 Some opium derivatives come directly from the opium poppy plant, such as morphine and heroin. Generally, opium derivatives can be broken down into two common groups- those which are directly from the plant such as morphine, codeine and heroin and those which are semi-synthetic such as Oxycodone, Hydrocodone and Hydromorphine which is also known as Dilaudid on the streets. Many drugs are synthesized from the raw versions of opiates. For instance, Vicodin and Demerol are actually derived from Morphine which comes raw from the opium poppy. Semi-synthetic drugs are opium derivatives which include the use of a raw form of opium such as morphine paired with a synthetic or non-natural drug. Some of the most common semi-synthetic drugs are also the most widely used on the streets today and have the highest potential for abuse, physical and psychological dependence and addiction. What are Examples of Opiates? - Opiates are substances that derive either naturally or synthetically from the opium poppy. Many of these substances are painkilling medications, while others are illicit drugs. What You Should Know about Opiates and Opioids - Opium derivatives - opioids and opiates - are potentially very harmful. These drugs must be taken with great care to avoid dependence, addiction and overdose.